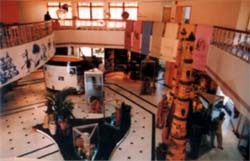 It is a centrally located multipurpose center at Bhopal established by M.P.Rajya Sahakari Bank Mydt, which is used for conducting seminars, conferences, cultural programmes etc in airconditioned auditorium, also having exhibition on cooperative movement of the state with library facility for research scholars. It is a center of its kind in cooperative for providing elaborated information to various researchers in cooperative. 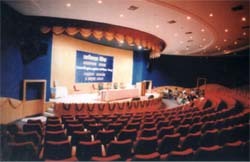 It is fully air conditioned hall having capacity of 600 people and also equipped with projector and sound controller facility. 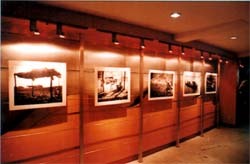 It is an huge exhibition hall having various unique photographs of constructive activities in cooperative sector of the state. Displayed with the added beauty of lighting arrangement. There is an excellent presentation of various activities on Co-operative in the world. Having focus from the initial stage of Co-operative movement up to date. Dining facility to entertaining more than 200 guests at a time. 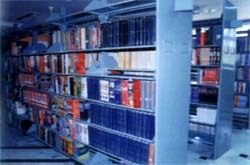 Library is furnished with valuable books on recent banking process, financial management, legal information, cooperative movement, important treaties and compendium of books. Magazines published at national level on cooperative are also available. 1. Auditorium is available for 6 hours. 2. After 6 hours, additional charges @Rs 3000/- Per hours. 3. Security Deposit charges = 25% of the rental charges (Refundable). 4. Payment should be deposited in advance at the time of booking.